With the freight industry currently growing and expanding, there are plenty of jobs to be filled. One such job is that of a freight forwarder – you work with importers and exporters to secure freight. 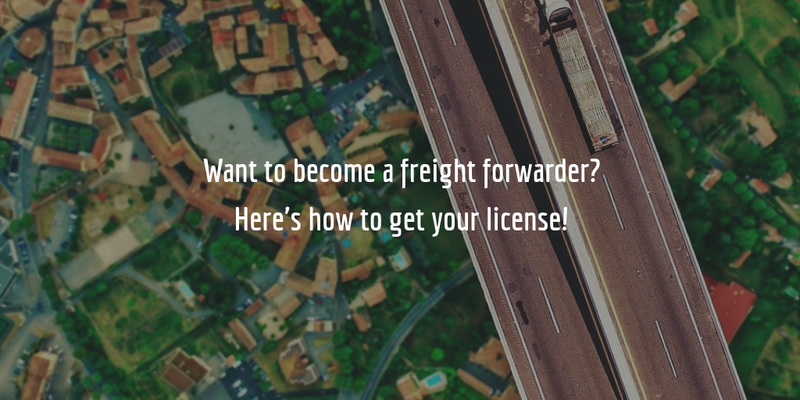 But in order to work as a forwarder, you will need to get a freight forwarder license. To get your license you need to cover a number of freight forwarder license requirements such as getting a freight broker bond. Read on to find out how to get your freight forwarder license and why you need a surety bond! What’s the difference between freight forwarders and freight brokers? Freight forwarders and freight brokers tend to be confused for one another, but they actually do different things. Freight brokers are the ones who make the connection between shippers of goods and carriers. They try to negotiate rates for shippers and secure good conditions and routes for carriers. Freight forwarders are concerned with forwarding and handling freight from importers or exporters who are their clients. They store cargo, secure its transport to its destination via air, sea or road, negotiate costs, prepare documentation, secure insurance, take care of port charges, and may even do customs clearance. I.e. freight forwarders handle the freight of their clients. For this reason, they are often also called cargo or freight agents. How to get a freight forwarder license? Depending on the type of transportation means they work with (sea, air or road), freight forwarders need to get different licenses. Freight forwarders who work with trucks, in particular, must get their license at the Federal Motor Carrier Safety Administration (FMCSA). Before getting started with your registration, you need to determine whether you will need a USDOT number. If you plan on functioning as a carrier as well as a forwarder, you will be required to obtain a USDOT number as well as Operating Authority (MC Number). If you only plan on working as a forwarder, you will only need to get Operating Authority, and in particular – Freight Forwarder Authority (FF). There are two types of freight forwarder authority. Freight forwarding of household goods and freight forwarding of property. To get permanent authority in either category, you will need to pay a $300 filing fee. Once you apply, the FMCSA will review your freight forwarder license application. If your application is approved, you will receive your FF number in your grant letter. You need this number to obtain your freight broker bond and cargo insurance. Before you get your bond and insurance you are not officially registered and allowed to operate as a freight forwarder! Within 90 days of applying at the FMCSA, your insurance provider must submit your insurance form (Form BMC-34) to the FMCSA. As a freight forwarder, you are required at all times to maintain cargo insurance of $5,000 per vehicle and $10,000 per occurrence. If you plan on operating commercial motor vehicles (CMVs), your insurance company will also need to submit public liability insurance (Form BMC-91 or BMC-91X) which covers bodily injury, property damage, and environmental restoration. If you do not plan on operating CMVs you have to include a waiver for this type of insurance in your application. Along with your insurance, you should also post your designation of process agent notice (BOC-3) through the URS. Your process agents are those people who will represent you in each state you will be operating in. Finally, you must also obtain your $75,000 freight broker bond. Though it’s called a broker bond it also applies to the job of freight forwarders. This bond is an agreement between you, the FMCSA and the surety bond company that you will comply with federal and state regulations for freight forwarders. It functions like a line of credit to forwarders. If a forwarder acts in a dishonest or fraudulent manner towards their clients, a claim can be filed against their bond. The surety which backs the bond then steps in to provide compensation to claimants (if there is enough cause for that). In other words, it extends credit to the forwarder to cover the damages that the claims is for. Once a claim is settled and claimants compensated, the forwarder must repay the surety for its compensation. That compensation may be up to the full amount of the freight broker bond – $75,000. For this reason, freight forwarders should always make sure they are acting in accordance with all laws, rules, and professional standards. How much does the freight broker bond cost? Though the bond amount is $75,000, that’s not the cost of the bond. The cost of the freight broker bond is a fraction of its full amount. That fraction or bond rate is calculated by the surety when you apply for your bond. The surety considers your personal credit score, your financial statements and previous work history in determining your bond cost. Typically, applicants with a high credit score get the best rates – so-called standard market rates. That would mean between 1.25% and 5% of the total amount of your freight broker bond. To get an exact quote, follow the link in the banner below. You can also call us anytime at 866.450.3412 to speak to one of our bond experts.